A Brooklyn hotel is being converted into a homeless shelter months after outraged neighborhood residents sent around letters saying the city had been renting rooms for homeless men for some time. The Sleep Inn on 49th Street in Sunset Park is being converted into a 150-bed shelter for men by the end of November, Brooklyn Councilman Carlos Menchaca said in a Facebook post Thursday. 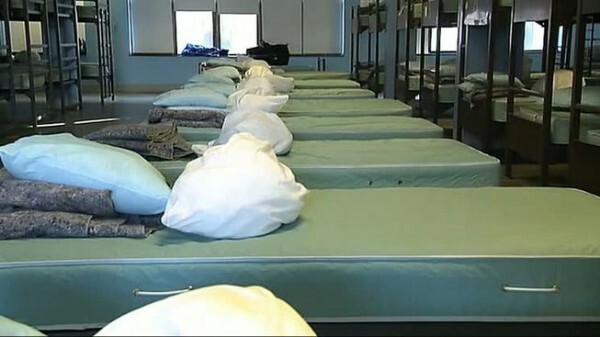 The move comes as Brownstoner reports a letter circulated around the neighborhood accusing the city’s Department of Homeless Services of renting 100 beds at the hotel as overflow from other shelters in the city. The hotel is already currently housing 100 homeless men, and is planning to add 50 more beds, the Department of Homeless Services confirmed. It will be operated by Samaritan Village, who will oversee all program, security, maintenance, housekeeping and property management services. Menchaca said in his post that he spoke with DHS about his concerns. The Department of Homeless Services said the facility will have both job training and clinical services to support the shelter residents, and there will be around-the-clock security inside and outside the building, with guards making rounds every 30 minutes to ensure residents' and community safety. It also said the de Blasio administration has been working aggressively to reduce homelessneess, and that over 38,000 people left city shelters to go to permanent housing in the past year. According to Menchaca’s post, the men filling the shelter will either have jobs or are looking for work, but in the letter published in Brownstoner, residents said that the men staying at the shelter were unscreened and appeared to have been under the influence of drugs in the streets and in the neighborhood’s eponymous park. Other residents told NBC 4 New York that they didn’t like the shelter and that they had noticed an uptick in homeless men in the area in recent months.